Ghee is having high nutrient values. Some of them thin that ghee is having high fat so they avoid gee because of this reason this is not 100 % correct. Ghee is having high nutrient values, it’s not a fattening agent. It will help your body a lot. 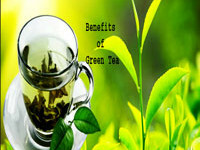 It’s help your brain & It’s improve your immunity, promotes weight loss, Helps in digestion. Because of these reasons you must have dollop of gee in your meal. four main reasons to have ghee daily in your meal. Ghee is having Vitamin-A,E & high amount of CLA (Conjugated linoleic acid ) . 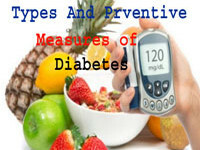 Because of these properties Ghee Is Helps in prevent Heart diseases in old age. Ghee is rich in Vitamin-K2 . Vitamin – K2 is important for development of facial and dental bones. According to Price foundation, vitamin -K plays a important role in facial and dental bones. Children born to mothers with high levels of vitamin- K are more likely to have wide,symmetrical faces with plenty of room for straight, healthy teeth later on. So having ghee is important in pre-conception and in pregnancy. Ghee is having high nutrient values like CLA & K2 which are having anti- fungal &anti- bacterial properties. because of these properties ghee will improve you immunity. And keep diseases away. Also many studies show that butyric acid which helps in digestion will helps in fortifying your immune system. That will helps in producing t- cells in your stomach ( it’s a type of white blood cells ). Ghee helps in improving your brain functioning because it’s having Omega-3 & Omega-6 which helps in improving proper functioning of brain. And it keep brain disorders like Alzheimer’s & Dementia away form you. 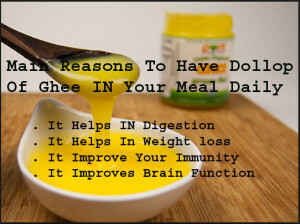 So see having a dollop of ghee in your meal will helps in improving your brain functioning and prevent occurrence of brain disorders. Ghee helps in secretion of acids in your stomach. And it will promote your digestion and strengthen the walls of intestine. Because of ghee production of butyric acid will increase it will helps in strengthening of walls of your intestine & improve in digestion. if you take kichidi, biriyani,and any other dhal items in to stomach proper digestion is need. At that time if you take ghee it will improve production of butyric acid, and helps in proper digestion of food. Another important reason to have ghee daily it will reduce your weight. If you taking ghee daily in your meal that will helps in reducing fat cells in your body. And it will improve gall balder function also. So secretion of bile is going to increasing. It will helps in break down of fat cells, and metabolize these fat’s completely. And your body metabolism also maintains normally. So your weight is in control. Many studies shows that ghee is containing medium-chain fatty acids ,that are responsible for augmentation of your metabolic process. And these fatty acids having ability to burn fat cells. And it will improve your digestive system to metabolize these fat cells. So your weight is going to reduce. These are the main reasons to have ghee daily in your meal. So have ghee daily in your meal with out any fear. But it’s should be in limit. Have only a dollop of ghee in your meal.